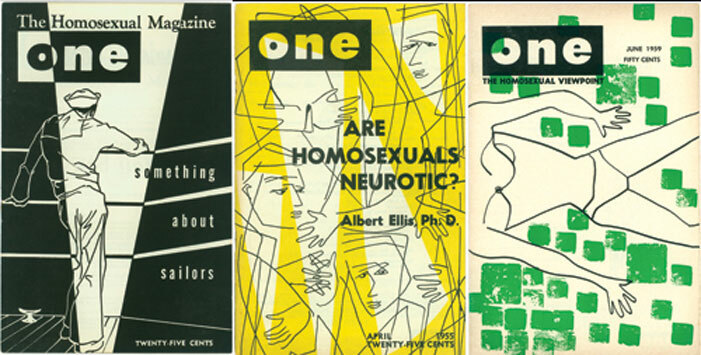 Sixty-four years ago this month that queer media established its first modern foothold with the debut issue of ONE Magazine. 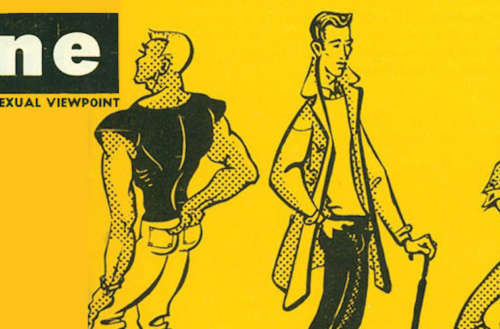 These were the conditions under which ONE, Inc. was formed, an offshoot of the Mattachine Society—an early activist group comprised of gay men. 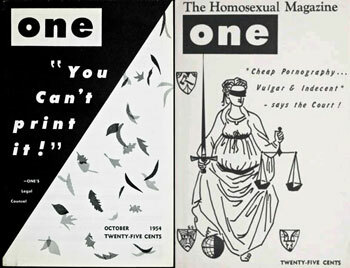 ONE launched the first issue of their magazine in January of 1953. 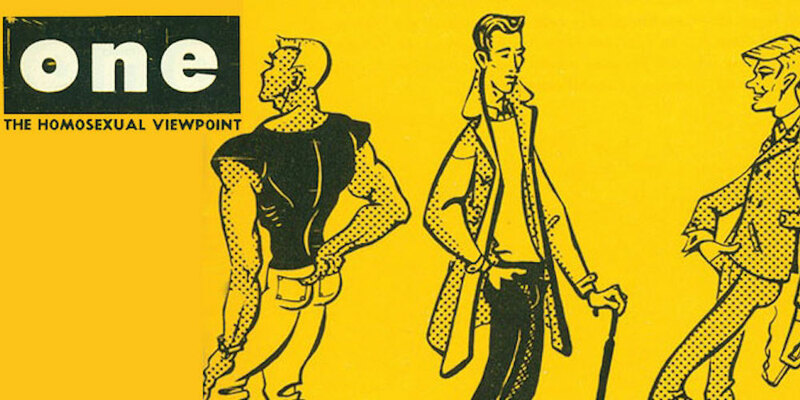 The magazine proved a lifeline for a gay community still struggling to connect. It’d be many decades before gay or queer people could safely congregate in public, even in major cities. At best, only a few small mailing lists connected queer people to each other through amateur newsletters. ONE provided the most ambitious and well-produced queer media to date. They had 2,000 subscribers within the first few months. The government immediately intervened, beginning with FBI harassment directed towards the employers of the volunteer contributors. That was followed by action from the Post Office, which forced the magazine to delay shipping while inspectors could scrutinize the magazine for obscene content. “Never before has a governmental agency of this size admitted that homosexuals not only have legal rights but might have respectable motives as well,” read the cover of the October 1953 issue. The editors of ONE took steps to clarify content that would keep them out of trouble. 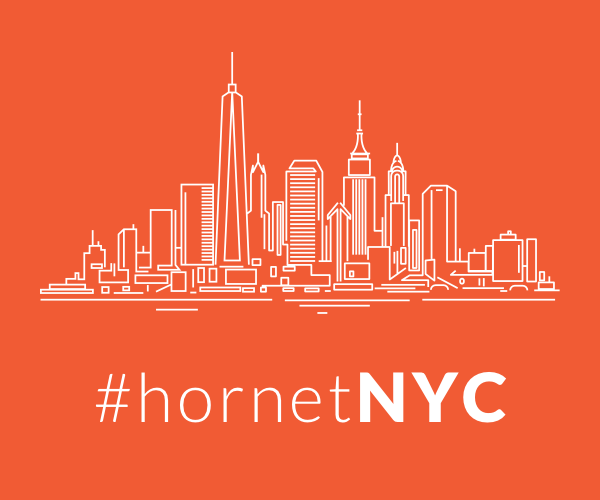 No matchmaking ads; no racy photos; no descriptions of physical intimacy—even cuddling. But the following year, an issue contained ads for sheer pajamas and a short story that involved some touching, which led the Post Office to seize the issue. “The suggestion advanced that homosexuals should be recognized as a segment of our people and be accorded special privilege as a class is rejected,” wrote a federal judge in 1956. Things looked grim for ONE — until the Supreme Court reversed one of the lower court decisions in January of 1958, five years after the launch of the magazine and 58 years ago this month. The legacy of that ruling can still be felt to this day: it’s unlikely that queer media could have developed in the decades following if the court had not upheld the magazine’s right to exist. And although ONE ceased publishing in 1969, it’s thanks to that ruling that we have one more January milestone: the 1992 founding of Out Magazine, which continues to this day, and of course, the existence of queer sites, like this one.